The State Reader block reads the current state of a supported state owner block. When creating a library block with a State Reader block also include the state owner block. Add a State Reader block to your model from the Simulink® Library Browser. 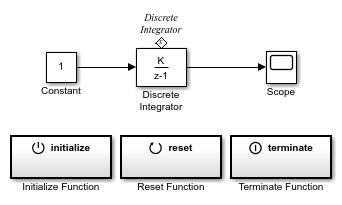 Conditional susystem blocks such as Enabled Subsystem, Triggered Subsystem, and Function-Call Subsystem. S-Function with multiple discrete states. State value read from a state owner block. The dimension of the output is the dimension of the full state vector. Refer to the Initial conditions parameter for specific blocks. For example, for a Delay block with a Delay length of N, the State Reader block returns a state vector of length [1xN]. Show the state owner block whose state this block is reading. To change the state owner block, select a block from the State Owner Selector Tree. 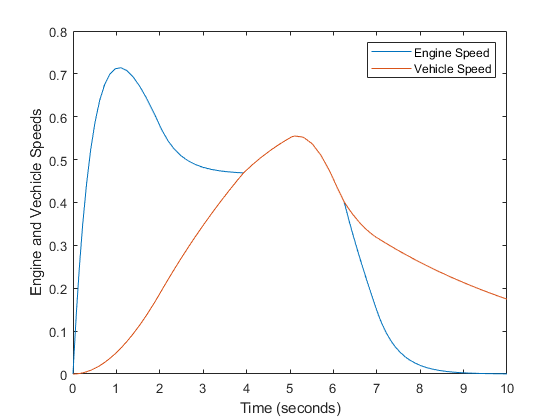 The modeling of the Simulink® clutch example using Simulink based states inside a Stateflow® chart. For a detailed explanation of the physical system, see Building a Clutch Lock-Up Model. 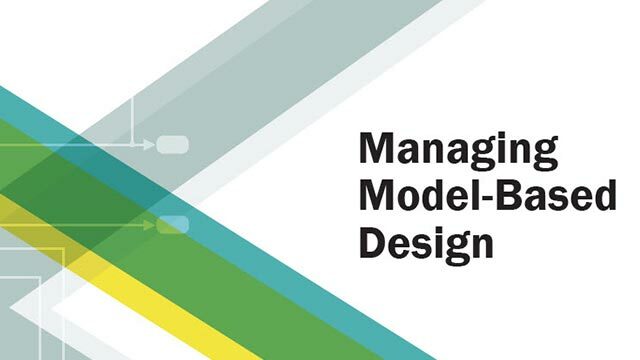 Use the Initialize Function, Reset Function, and Terminate Function blocks to read and write states in a Simulink model. 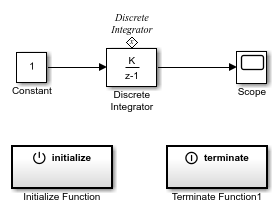 In this example, the Initialize Function block uses the State Writer block to set the initial condition of a Discrete Integrator block to 10.